Sean Paul Dream Girl Remix… Coming Soon! According to Japanese websites, there’s going to be a remix version of “Dream Girl” featuring Japanese singer, Lecca, as bonus track of Tomahawk Technique CD in Japan. 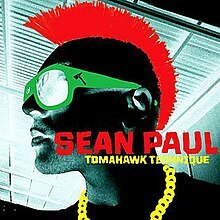 Dream Girl has been one of the most popular tracks of the album “Tomahawk Technique” among Sean Paul fans so far.